﻿The Liberty Jane® Outback Libby Kings Canyon Peplum Top features just the right amount of detail to make your 14-14.5 inch doll feel special! The delicate lace down center front and around the sleeves gives it that feminine touch while the high-low peplum adds just enough fashion flair. Design details include: a split front neck opening, perfect for lace embellishments or even some delicate embroidery! Raglan style sleeves make this top easy to sew and the neck binding detail gives it a professional finish. This top looks great paired with her favorite mini skirt or classic pair of jeans! Suggested fabrics for this PDF sewing pattern include batiste, lightweight rayon, dotted swiss and other lightweight cottons. Lace trims work best when there is one scallop edge and one straight edge. Tiny cording can be purchased, made from pearlized cotton embroidery cord, or even braiding embroidery floss. If you like, try adding a tiny bead to the ends to give it that extra touch! 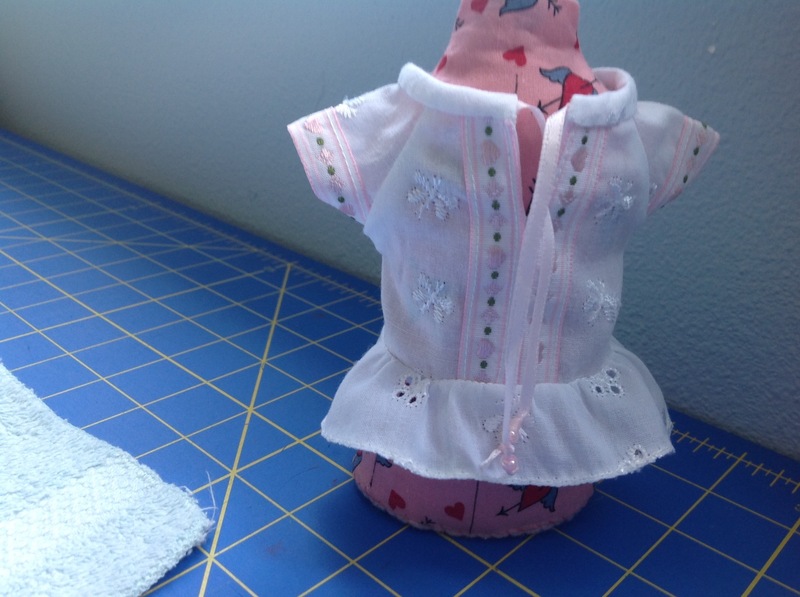 The Liberty Jane® doll clothes pattern is designed to fit 14-14.5 inch dolls such as Heart For Hearts Girls® or Welliewishers™. Instructions were great and I made two of them with tiny prints to wear with tights for H4H dolls for charity. I love the raglan sleeves with the 14 inch dolls. There is no bulk at the armholes. The fit was perfect. My granddaughter picked out the trim she wanted. My sister said she’d like a blouse like that!